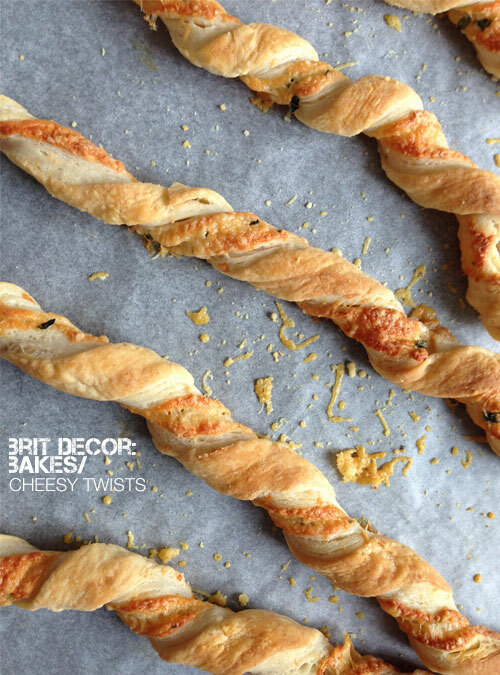 Yes you would be right in thinking that savoury recipes are few and far between on Brit Decor as I am, after all, a self-confessed sweet-tooth. However, yesterday I whipped together these little cheesy treats for some tasty snacks to accompany pizzas. 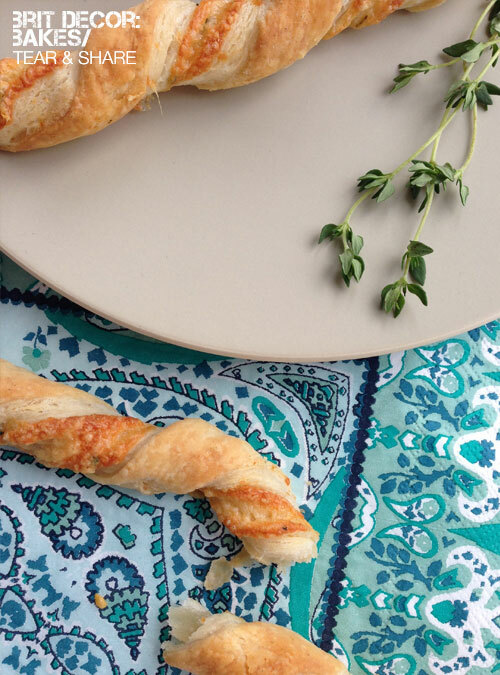 The puff pastry means that these are perfect for those tear and share moments with friends too, or 'sociable snacks' as I like to think of them! As with many of the bakes on the blog, this one is very time-light but also quite therapeutic. 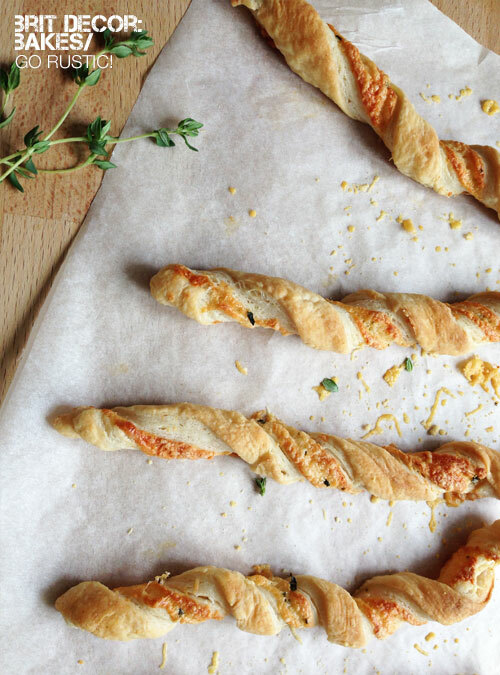 I love the process of rolling out the pastry and the light and fluffy feel of the grated cheeses and freshly chopped Thyme, and finally the really fun part of gently twisting the pastry strips. Preheat your oven to 1800C and line two trays with baking paper. Gently beat the egg in a small bowl and place to one side. Lay the ready-made pastry onto a lightly floured surface and roll-out into a rectangular shape, then glaze the surface with the beaten egg mixture. 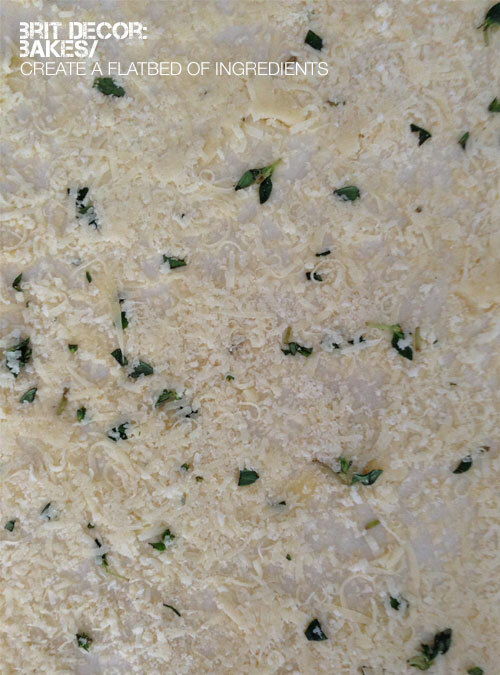 Finely chop the fresh Thyme and add this to the grated cheeses - mix together before sprinkling onto the puff pastry. Gently press the topping into the pasty to help keep all of the ingredients in place. Take a knife and cut out approximately 12 strips before twisting each one and placing onto the trays. Cook in the oven for around 15 minutes. Serve with ground black pepper (to taste). Are you a tear and share person?